Attracting and supporting a diverse population of geoscientists is becoming increasingly important as society tackles the complex, global issues that will affect us all in the coming decades. Geoscience needs to bring in students from populations traditionally underrepresented in the discipline and support their participation and success in order to reach into communities that will be affected by a changing world. Broadening participation in geoscience by students from these groups includes drawing them into the discipline in the first place, supporting them through critical transition points, helping them persist in the discipline through graduation, and preparing them to be successful in their career after graduation. Much research has been done into what practices have shown success and there is a list of selected references at the bottom of the page. Students who are able to envision themselves as scientists are much more likely to graduate from a STEM field and enter a career in that field than those unable to do so. Actively helping students build such an identity for themselves is particularly important for those from groups from nonstereotypical backgrounds as well as those with no close connection to a scientist role model. Stereotype threat affects members of any group about whom there exists some negative stereotype, and can lower students' performance. Solo status is the experience of being the only member of one's particular community present in a group, which can also compromise learning. These are common concerns for minority or non-traditional students. This web page offers four strategies for alleviating these potential setbacks. Many students from underrepresented groups are among the first in their families to attend college. Faculty who understand how to help first-generation college students be successful will be able to support all of their students better. Diversity and inclusion should not be limited to racial or cultural considerations. Many students with physical or mental disabilities can be successful in geoscience courses (and careers!) with some adaptations and considerations. Improving our cultural competency can help faculty learn their own values and cultural identity can manifest itself in teaching and interactions with students. This approach can make it easier to engage with students from diverse backgrounds. Societal issues are of high interest to students, including those who are traditionally underrepresented in the geosciences. 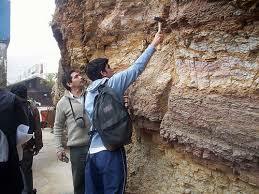 Thus by teaching geoscience in the context of societal issues we draw more students into geoscience courses. Societal issues are also interdisciplinary problems opening avenues for integrating geoscience learning into interdisciplinary courses and courses in other disciplines. The InTeGrate and GETSI projects have extensive teaching resources built around societally relevant issues. Initiatives with holistic approaches -- those that go beyond what happens in the classroom -- have shown the most success at supporting students of all kinds from entry to graduation and/or transfer. These holistic programs support the whole student, not just their access to and acquisition of disciplinary knowledge. SAGE Musings: Several installments of the SAGE Musings Blog have tackled aspects of broadening participation in geoscience by underrepresented groups. This workshop brought together faculty, administrators, and education researchers from across the country, to share successful programs and activities for supporting the success of all students in geoscience at 2YCs, both in and outside the classroom. These essays were submitted by the participants of the 2013 workshop Supporting Student Success in Geoscience at Two-year Colleges, describing what they are currently doing to support geoscience student success in two-year colleges. The InTeGrate project has developed an extensive resource for faculty and programs interested in attracting more diverse students to their departments, supporting them through successful completion of a degree, and preparing them for the workforce. Carter, D.F. 2006. Key issues in the persistence of underrepresented minority students. New Directions for Institution, 2006(130):33–46. Chang, M.J., Cerna, O., Han, J., and Saenz, V. 2008. The contradictory roles of institutional status in retaining underrepresented minorities in biomedical and behavioral science majors. Review of Higher Education, 31(4):433–464. Chubin, D.E., May, G.S., and Babco, E.L. 2005. Diversifying the engineering workforce. Journal of Engineering Education, 94(1):73–86. Creighton, L.M. 2007. Factors affecting the graduation rates of university students from underrepresented populations. IEJLL: International Electronic Journal for Leadership in Learning, 11:7. Dowd, A.C. 2011. Developing supportive STEM community college to four-year college and university transfer ecosystems. In Olson, S., and Labov, J.B., eds., Community colleges in the evolving STEM education landscape. Washington, DC: The National Academies Press, p. 107–134. Freeman, T.M., Anderman, L., and Jensen, J.M. 2007. Sense of belonging in college freshman at the classroom and campus levels. Journal of Experimental Education, 75(3):203–220. Glenn, F.S. 2007. The retention of black male students in Texas public community colleges. In Seidman, A., ed., Minority student retention. Amityville, NY: Baywood Publishing Company, p. 115–133. Gross, D., Iverson, E., Willett, G., and Manduca, C. 2015. Broadening access to science with support for the whole student in a residential liberal arts college environment. Journal of College Science Teacher, 44(8):99–107. Guillory, R.M., and Wolverton, M. 2008. It's about family: Native American student persistence in higher education. Journal of Higher Education, 79(1):58–87. Hernandez, J.C., and Lopez, M.A. 2007. Leaking pipeline: Issues impacting latino/a college student retention. In Seidman, A., ed., Minority student retention. Amityville, NY: Baywood Publishing Company, p. 99–122. Huntoon, J.E., and Lane, M.J. 2007. Diversity in the geoscience and successful strategies for increasing diversity. Journal of Geoscience Education, 55(6):447–457. Hurtado, S., Cabrera, N.L., Lin, M.H., Arellano, L., and Espinosa, L.L. 2009. Diversifying science: Underrepresented student experiences in structured research programs. Research in Higher Education, 50(2):189–214. Jackson, A.P., Smith, S.A., and Hill, C.L. 2003. Academic persistence among Native American college students. Journal of College Student Development, 44(4):548–565. Levine, R., Gonz´ alez, R., Cole, S., Fuhrman, M., and Carlson Le Floch, K. 2007. The geoscience pipeline: A conceptual framework. Journal of Geoscience Education, 55(6):458–468. Markowitz, D.G. 2004. 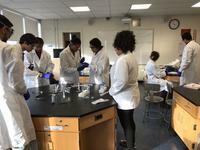 Evaluation of the long-term impact of a university high school summer science program on students' interest and perceived abilities in science. Journal of Science Education and Technology, 13(3):395–407. Matsui, J., Liu, R., and Kane, C.M. 2003. Evaluating a science diversity program at UC Berkeley: More questions than answers. Cell Biology Education, 2(2):117–121. Museus, S.D., Palmer, R.T., Davis, R.J., and Maramba, D. 2011. Racial and ethnic minority student success in STEM education: ASHE higher education report. Hoboken, NJ: Wiley Periodicals. National Academy of Sciences (NAS), National Academy of Engineering (NAE), and Institute of Medicine. 2011. Expanding underrepresented minority participation: America's science and technology talent at the crossroads. Washington, DC: National Academies Press. O'Connell, S., and Holmes, M.A. 2011. Obstacles to the recruitment of minorities into the geosciences: A call to action. GSA Today, 21(6):52–54. Packard, B.W., and Nguyen, D. 2003. Science career-related possible selves of adolescent girls: A longitudinal study. Journal of Career Development, 29(4):251–263. Packard, B.W.-L. 2012. Appendix B: Effective outreach, recruitment, and mentoring into STEM pathways: Strengthening partnerships with community colleges. In National Research Council and National Academy of Engineering, Community colleges in the evolving STEM education landscape: Summary of a summit. Pandya, R.E., Henderson, S., Anthes, R.A., and Johnson, R.M. 2007. BEST practices for broadening participation in the geosciences. Journal of Geoscience Education, 55(6):500–506. Semken, S. 2005. Sense of place and place-based introductory geoscience teaching for American Indian and Alaska Native undergraduates. Journal of Geoscience Education, 53(2):149. Serpa, L., White, L., and Pavlis, T. 2007. Recruiting and Graduating Minority Geoscientists from the University of New Orleans. Journal of Geoscience Education, 55(6):560–566. Stokes, P.J., Levine, R., and Flessa, K.W. 2014. Why are there so few Hispanic students in geoscience? GSA Today, 24(1):52–52. Strayhorn, T.L. 2012. College students' sense of belonging: A key to educational success for all students. New York: Routledge. Suarez, A.L. 2011. Forward transfer: Strengthening the educational pipeline for Latino community college students. Community College Journal of Research and Practice, 27(2):95. Thoman, D.B., Brown, E.R., Mason, A.Z., Harmsen, A.G., and Smith, J.L. 2015. The role of prosocial values in motivating underrepresented minority students for biomedicine. BioScience, 65:183–188. Tinto, V. 1993. Leaving college: Rethinking the causes and cures of student attrition, 2nd ed. Chicago, IL: University of Chicago Press. Velasco, A.A., and Velasco, E.J. 2010. Striving to diversify the geosciences workforce. EOS, Transactions of the American Geophysical Union, 91(33):289–296. Whitney, D., Behl, R., Ambos, E., Francis, D., Holk, G., Larson, D., Lee, C., Rodrigue, C., and Wechsler, S. 2005. Ethnic differences in geoscience attitudes of college students. EOS, Transactions of the American Geophysical Union, 86(30):277–279.